A must-have for any gym class or recreational league, the Champion Sports 8 Inch Rhino Skin® Low Bounce Ball Set includes six dodgeballs in various colors. 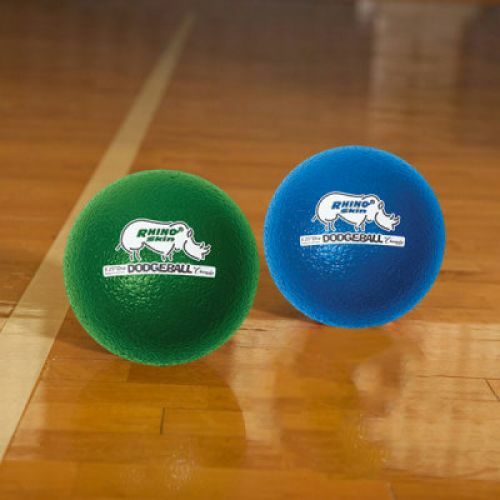 Designed with a tear-resistant Rhino Skin® coating, these dodgeballs are durable enough to withstand regular use, making them a great option for Phys. Ed. classes or tournaments. 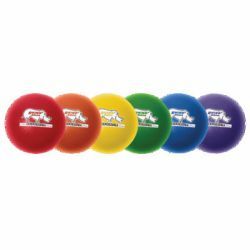 As well, the core is made from low-density foam, making these balls lightweight and easy to throw and catch.